Registers high and low readings. Manual reset. 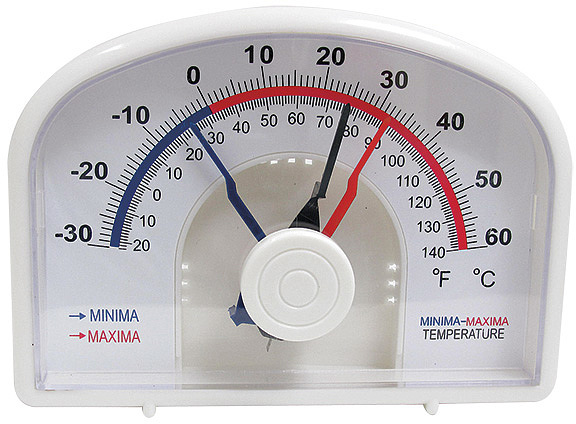 Range -20 to 140F (-30 to 60C) Dimensions: 3.5" x 5"